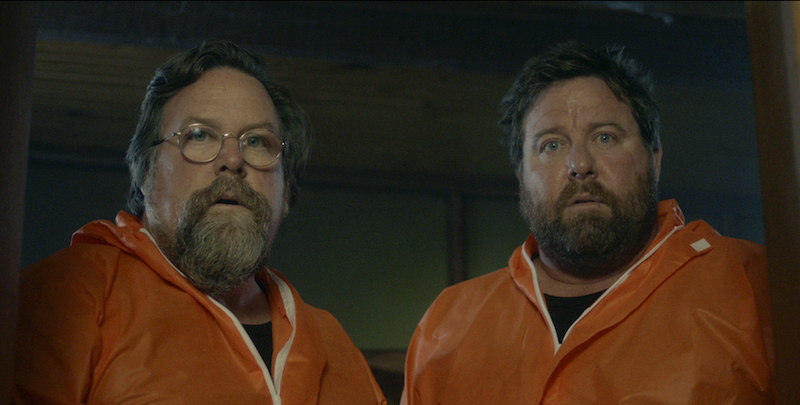 A pitch black comedy that starts off slowly before ramping up the tension and making at least two scenes very uncomfortable to watch, Brothers’ Nest is an assured, finely tuned movie that has a lot going on “under the hood”. Reuniting the Jacobson brothers for the first time since the sublime Kenny (2006) (though Clayton had a much smaller role), the movie spends much of its first half in exploring each brother’s reasons for being there, and the complicated family and emotional ties that have led them to contemplating murder as a way of solving problems they can barely articulate (at one point Jeff insists on their being honest with each other, but it’s an idea neither is able to commit to). It’s tempting to speculate that the Jacobsons – working from a script by Jaime Browne – have drawn from their own relationship in order to portray Terry and Jeff, but if that were so then you’d be seriously worried for them: both brothers have enough unresolved issues to keep a team of therapists busy for years. Clayton teases out a number of subtle character moments that point to things going wrong even if they go right, and these are based on equally subtle undercurrents that inform the characters’ motives and the quality of the performances. It’s when things do start to go wrong that the movie kicks into a higher gear and becomes a dark, uncompromising thriller, with the brothers forced down a path that brooks no return or chance of redemption. The humour, which so far has been a mixture of unsettling and morbid, becomes blacker still, but it’s all in service to the desperate efforts of Terry and Jeff to rescue their plan, and when that’s no longer possible, for one of them to save himself at any cost. The movie does lose its way in the final twenty minutes, when the confines of the house are overtaken by events that take place outside, but there’s a messy desperation to these events that seems appropriate even as the material, and its credibility, is stretched a little too thinly. Throughout it all, Clayton uses low level camera angles and subdued lighting to emphasise the off-kilter nature of the brothers’ plan, while sound designer/supervisor Emma Bortignon provides cues and effects that add to the discomfort the movie promotes throughout. With tremendous performances from both Shane and Clayton, the movie works best when focusing on Terry and Jeff’s fractured relationship, but when it takes a (much, much) darker turn, it still manages to keep them at the centre, while exploring their fragile bond even further – even when it proves increasingly uncomfortable to do so. 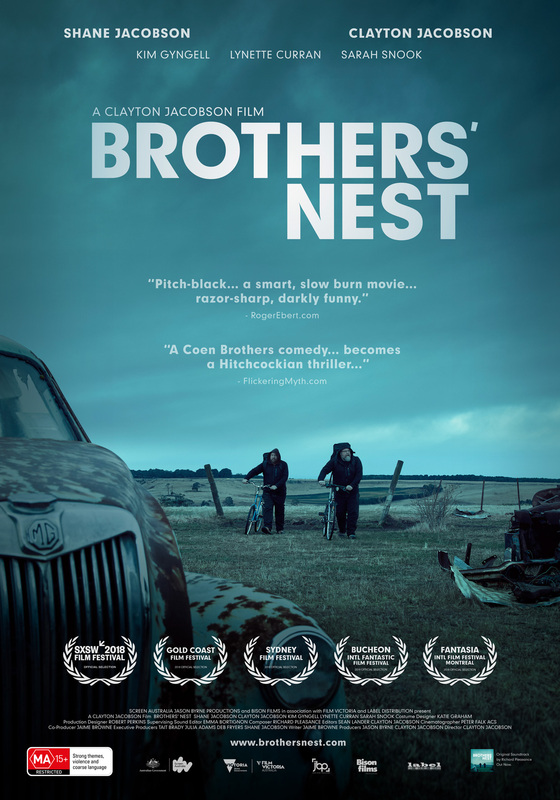 Rating: 8/10 – despite a last act detour into violent melodrama that’s tonally at odds with what’s gone before, the bulk of Brothers’ Nest is a quietly disturbing look at fratricidal dysfunction set against a simmering backdrop of unresolved family betrayals; tense and tautly executed, let’s hope it’s not another twelve years before the Jacobsons work together again.